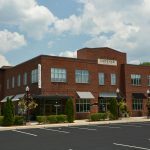 Premium Office Space available in this mixed-use center located in the popular Meadowbrook-Inverness-Greystone area of Birmingham. Lease rate is net of power plus CAM Charge. 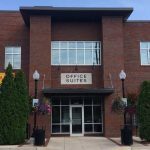 Tenants include Cadence Bank, Bellini’s Ristorante & Bar, Birmingham Orthodontics, Edgar’s Bakery, Rose Gate Designs, New York Butcher Shoppe and Taco Mama.